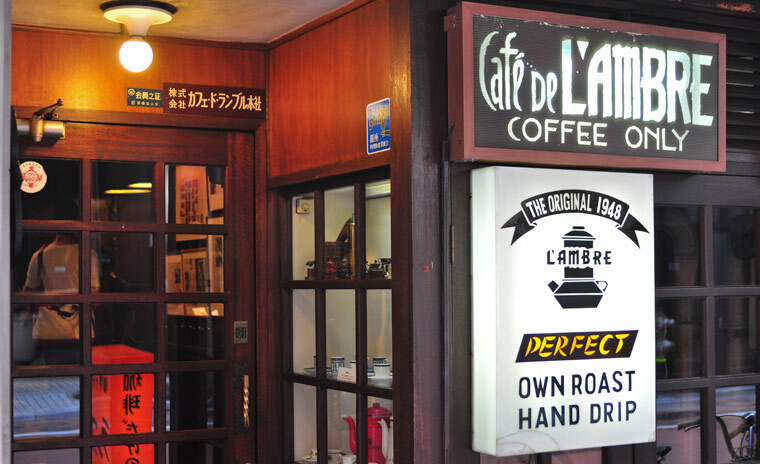 Cafe de l’Ambre is a quirky Tokyo legend, located a few zigzagging side-streets away from the main shopping area at Ginza. You may have seen it mentioned before when Australian barista champion Scott Callaghan wrote about his trip around the world here. The coffee bar and roastery has been around since the late 1940s and is still operated by it’s nonagenarian proprietor. The interior appears unchanged, with a bar that seems like it’d be more suited to serving cocktails than hand-poured coffee by the cup. 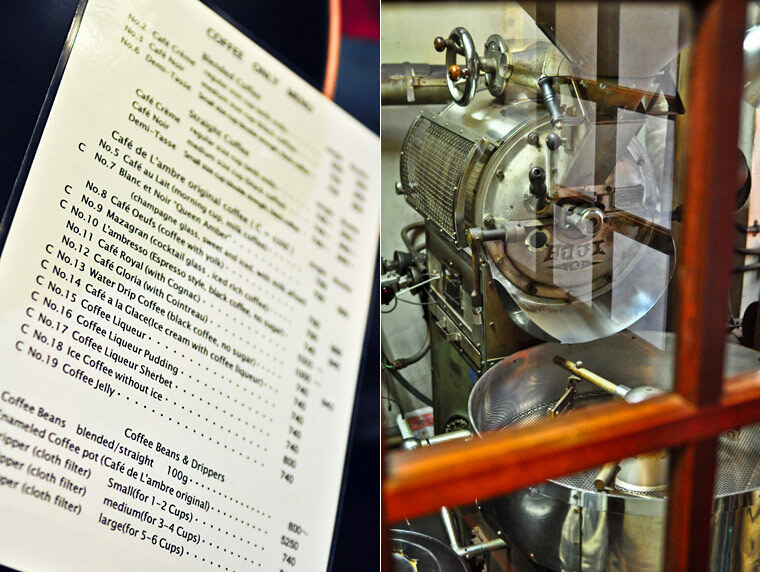 “The shop has a roasting machine that the store’s 95-year-old owner still operates. He got his start by using Indonesian beans destined for Germany that were waylaid during World War II.Since then, he has been an advocate of aged coffee. The menu includes coffee made with Cuban beans harvested in 1974, Colombian beans from 1989 and so on. Like a fine wine list, prices are not cheap. I only stopped there briefly, for a high priced cup shaped and sized like an overgrown porcelain thimble. 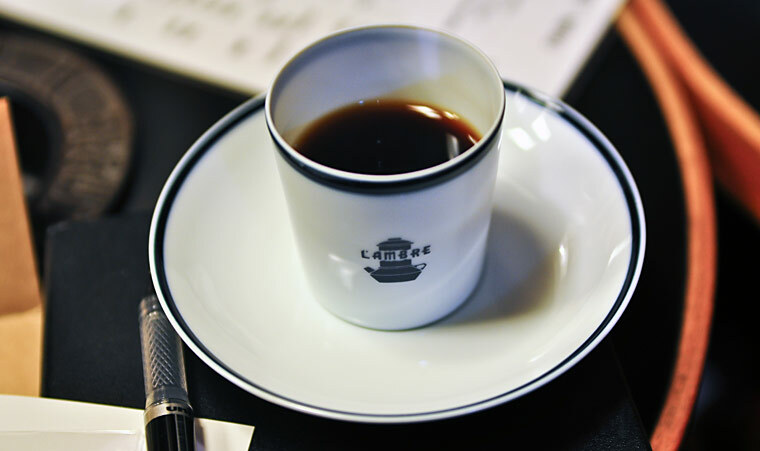 The coffee is guided by a different philosophy of what ‘good taste’ means. It’s different, but the drink I tried certainly wasn’t bad. I didn’t write any notes on this stop, but from what I can remember it tasted like a blend with no hard edges; muted, or subtle if you want to be charitable. But I can’t say much more than that given my lack of notes, nor can I really pass judgment on a place after only trying one drink. All things considered, it was a novel experience that I enjoyed! UPDATE: For a great article on aged coffee, as well as the move toward seasonality, check out this post by George Howell at Terroir Coffee. That’s amazing! What was the place like in that period? How did you discover it? Thanks for sharing, hope you do get a chance to visit again.